There is much wonderfulness to say about fragrance and drinks. Not too long ago I shared this great piece on whiskey from Samir Dave and just now I heard about a great event in Berlin. 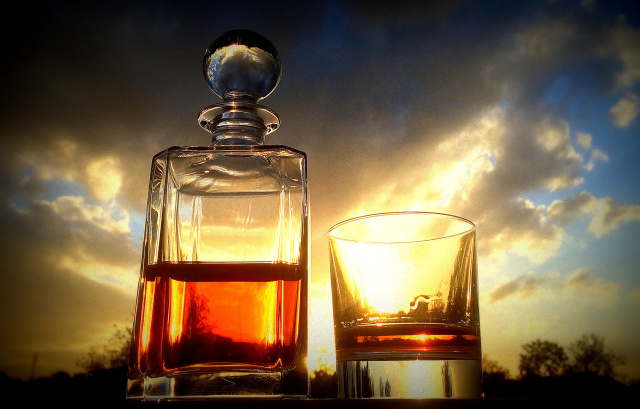 “Whiskey is a journey, not a destination”, quote and photo from Samir Dave. 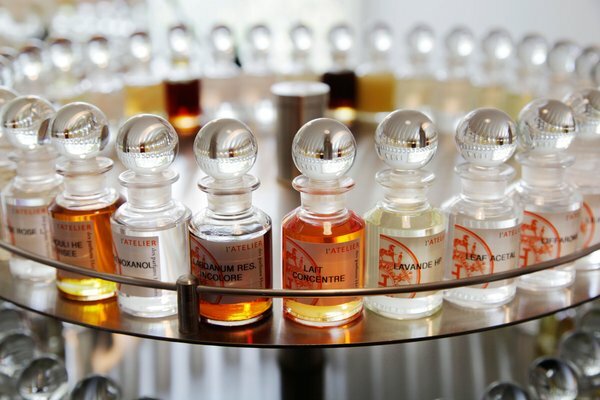 On Thursday, June 12th, Ritz-Carlton Berlin will open Fragrances, a mixology/olfactory experience where patrons use their sense of smell to select their drink of choice. Designed by “Cocktail Whisperer” Arnd Henning Heissen, the menu’s alcoholic beverages are presented with a bottle of perfume. The drink will not only smell like the scent, but will also reflect that smell in its taste. 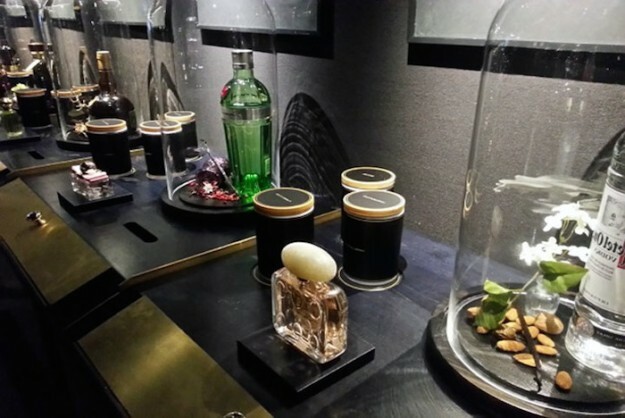 There will be a display of the drinks’ ingredients, placed in glass domes next to the perfumes. Each drink will be served in a unique way to augment its individuality. Ingredient display. Photo from PSFK. article. The world of perfumes is one of the most hierarchical systems I can think of. Not only is the hierarchy there, it is unquestionable and obvious. As, in this case, it should be. There are individuals in this world who breathe and dream scents and spend their entire lives searching for new ways to bring out the best in different notes, to create new dances between them, to tell new stories. Individuals who fight against compromise. Who look for the perfect resinoid, rose, vetiver, vanilla, ambergris, nutmeg… These individuals are artists, musicians and magicians. What you get in a bottle made of someone with passion is special. It’s a Perfume with capital P.
This is my recommendation, when shopping for perfume, go for the best you can find. But it costs a fortune, you say. Well, yes, sometimes excellence is expensive. Not always though, and actually mediocrity can be pretty pricey too if you think about it. Plus you don’t need the biggest bottle, and you don’t need 15 almost-perfect perfumes. Take the time to discover what you love and then go for that in the quantity that you can afford. But what is it that makes a perfume extra-ordinary? What is really the difference? – Precision and perfection of proportion: perfume creation is art and science combined, at a very high level. Slight differences in proportions create an entirely different experience. 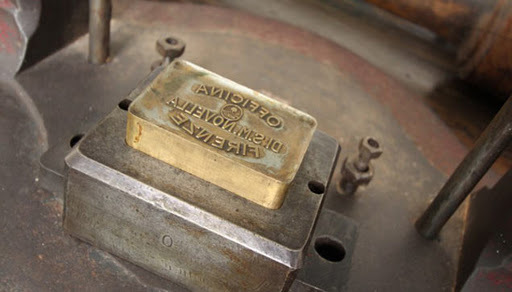 – High-quality ingredients: expensive ingredients create an expensive perfume. Enough said. 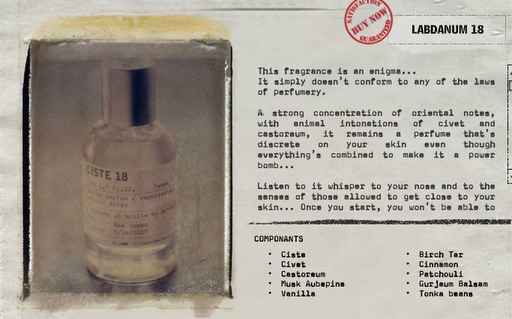 – An interesting experience: perfume is like music. It tells a story and includes different stages. The ability to be able to create and control this is one of the perfumer’s tasks. Some perfumes are a flat sensation. Like a song without chorus and verse. These are the ones to avoid. Some take you through an entire odyssey of sensations during a day. – Longevity: this is perhaps an individual preference but I do prefer a perfume that lasts from morning to afternoon as this gives me a sense of a fuller story. 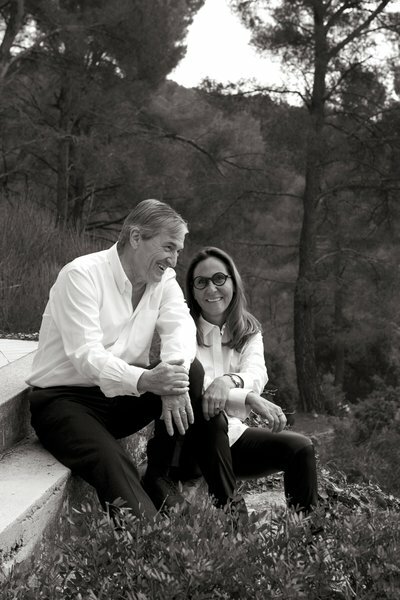 – Pleasure: a perfume that is right for you isn’t “difficult to wear”. It doesn’t itch, irritate, distract unpleasantly, make you sneeze or feel thorny. If your perfume does you are using the wrong one. 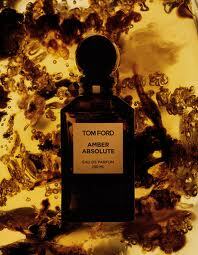 A perfume should feel like an embrace that is like a caress. A little bit tickling perhaps, but in a caressy way. Isn’t it all in the imagination? No. It’s not. This is real. This is pleasure, creativity, sensation, inspiration and passion at its best. This is Perfume. I am starting to run out of strange animal parts so I will continue on the resin-incense-path tonight with frankincense, also known as olibanum. Also known as the incense of incenses. Frankincence is an aromatic resin used in incense and perfumes. It comes from Boswellia trees. Four types species of Boswellia are used and each of them give a resin with variation depending on tree-type, soil, climate and time of harvesting. Boswellia thrive in arid, cool areas of the Arabian Peninsula, East Africa and India. The finest type is Boswellia sacra, which grows in Somalia, Oman and Yemen. To obtain the resin you cut the bark of the tree which then starts to bleed a fluid that hardens. The hardened resin is called tears. Frankincense trees are true survivors. They can grow in very demanding conditions, sometimes directly on solid rock in stormy areas. The rougher the conditions, the stronger the aroma. The trees have to be 8-10 years old to produce resin. It seems that there is a declining amount of frankincense trees, partly because of over-exploitation but also as a consequence of beetle attacks. The predictions are quite sad unfortunately so it might be a good idea to stock up on essential oils. 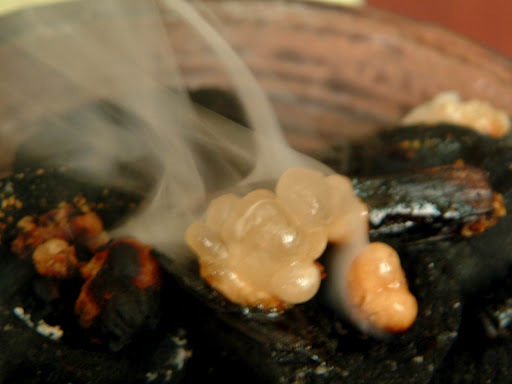 Frankincense is the incense of incenses, and appears in both Bible and Talmud. 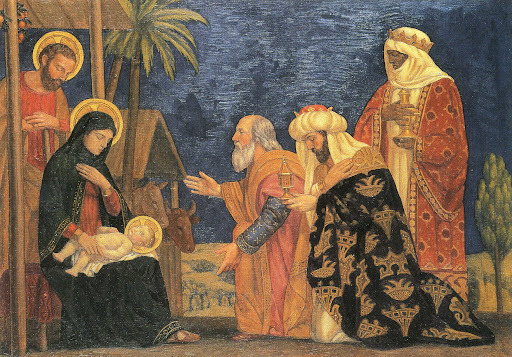 According to the gospel of Matthew 2:11, gold, frankincense, and myrrh were among the gifts to Jesus from the wise men. It has been used for a very long time, for example it is known that frankincense has been traded on the Arabian Peninsula and in North Africa for more than 5000 years. At that time it was known as olibanum. This name is likely to be derived from the Arabic al-lubān which is a reference to the resin being “milked” from the tree. If you should have the fortune to visit Oman, you can go to the excavation of Ubar, a trade center along the “Incense Road“, that was rediscovered in the early 1990s. Frankincense has a sweet, warm, balsamic aroma that is stimulating to the mind. The scent uplifts, calms and comforts and is therefore a natural choice for religious and spiritual ceremonies and for meditation. The tree itself is a symbol of life and carries cultural and historical significance. In Ayurvedic medicine Indian frankincense (Boswellia serrata), also known as “dhoop,” has been used for hundreds of years for treating arthritis, healing wounds, strengthening the female hormone system, and purifying the atmosphere from undesirable germs. In Indian culture, it is suggested that burning frankincense daily in the house brings good health. I think frankincense is a good example of our olfactory memories and identities, not as individuals, but as humans. We have used the same olfactory symbols for thousands of years, and we use them to worship in different religions. Scent is cultural, but also trans-cultural. Scents repel, and connect. Scents, like you, like me, are not arbitrary. Being aware of this makes the search for fragrances even more special and full of mysteries, symbols and stories, does it not? If you are interested in going on a frankincense perfume exploration, here are some suggestions. 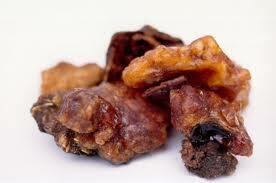 Opoponax, also known as sweet myrrh, grows in particular in Iran, Italy, Greece, Turkey and in Somalia. The herb grows one-third meter to one meter in height. A resin is extracted from the stem by making an incision. The resin is drinkable in liquid but has a bitter taste, and the odor of the fresh resin is supposedly also quite unpleasant. 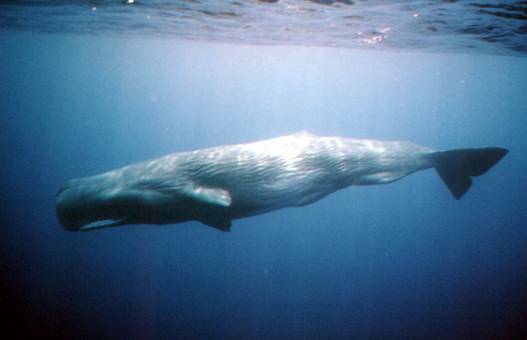 The resin hardens when exposed to air and creates little dried pieces, which is how it is most commonly sold. And here is where the story starts getting more olfactory interesting and pleasant: the dried resin is inflammable and if burned as incense it gives a woody balsamic smell that has been a part of spiritual ceremonies for many, many, many years. The name opoponax, sometimes spelled opopanax, has its origin in the Ancient Greek word for vegetable juice and healing. The opoponax resin and oil also have an interesting role in medical history. The oil/resin are muscle relaxant, analgesic, anti-inflammatory and stimulate circulation. They can be used for antiseptic and anti-parasitic purposes, and have been used throughout history as treatment for various medical conditions such as spasms, asthma, bronchitis, chronic visceral infections, painful menstruation, arthritis (mainly Chinese medicine), hysteria and hypochondria (!). 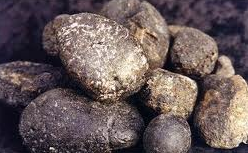 In Somalia specifically, opoponax resin is used in folk medicine to treat stomach problems and for wound healing. It is not difficult to find sweet myrrh essential oil for private medical use, a google search will lead you to several web stores that offer it. Its primary use is by topical application, for example mixed with coconut oil you can use it for sore muscles and joints. Only use it externally. Opoponax is often used as incense in spiritual, religious and other ceremonies. Therefore you can also find it in web shops such as St John’s Bookstore that belongs to the St John Monastery in California. They sell dried resin pieces that they import themselves from Somalia. In their product description the scent is described as a “complex scent reminiscent of brown sugar, butter, and lavender, with hints of rosemary”. When used in perfume making opoponax is often combined with frankincense, vanilla, rose, cinnamon, patchouli, sandalwood, lavender and citrus oils. It has a spicy-sweet herbal scent that is also popular at spas. So now you might be thinking… what perfumes are there that smell of this liturgical remedy? 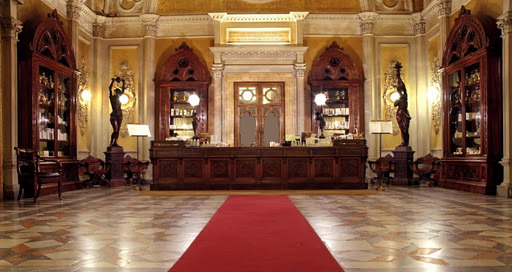 Not too far-fetched an example is Opoponax from Officina Profumo-Farmaceutica di Santa Maria Novella in Florence, one of the world’s oldest pharmacies. A magic place that you should go to if have not yet. It was founded by Dominican friars shortly after their arrival in Florence in 1221. The pharmacy used medicinal herbs grown in the monastic gardens to make medications, balms and pomades for the monks’ infirmary. In 1612 it opened to the public and still today we can go to Via della Scala to find elixirs, creams, waters, soaps, teas, fragrances and a million other things in beautiful bottles and boxes that all smell of ancient insight. I love the face tonics and hair products… If you are interested in reading more about Officinina Profumo-Farmaceutica di SMN, I suggest for example this article. Another overt tribute to opoponax is Imperial Opoponax from Les Néréides. 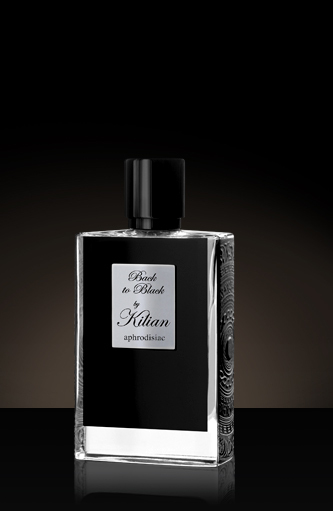 A fragrance that combines opoponax with benzoin, sandalwood, amber and vanilla. I have seen this fragrance appear in many places in the online perfume world, and the reviews strike me as very heterogenous and puzzling. You will also find opoponax in the one and only Shalimar as well as in Opium from YSL, L’Eau Ambree from Prada and Pomegranate Noir from Jo Malone to give a few examples. Chanel perfumes often include opoponax, you will feel it in Coco Mademoiselle, Coco, Pour monsieur and Bois des Iles. 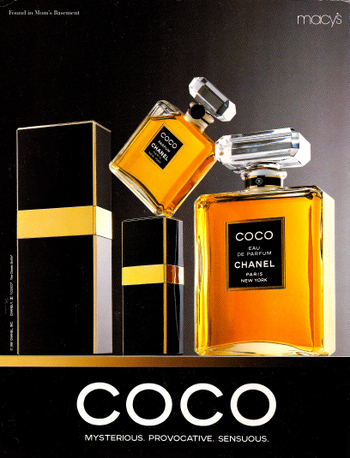 In the case of Coco, an oriental spicy from 1984, Polge used opoponax with coriander, pomegranate blossom, mandarin orange, peach, jasmine and bulgarian rose as top notes, middle notes: mimose, cloves, orange blossom, clover and rose, and the opoponax comes as a base note with labdanum, amber, sandalwood, tonka bean, civet and vanilla. In Opium from 1977 opoponax is bart of a woody base with among others (!) 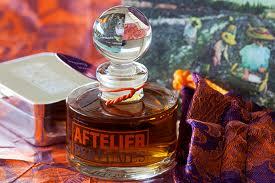 sandalwood, cedarwood, labdanum, benzoin, amber, musk, patchouli, vetiver and castoreum. Opium is a striking oriental-spicy with quite a large number of ingredients… Top and middle include for example (!) 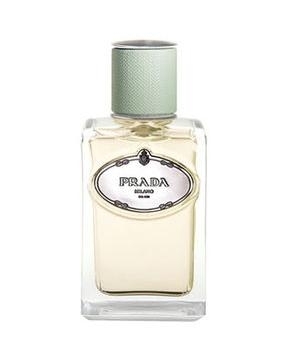 mandarin, plum, clove, coriander, bay leaf, carnation, cinnamon, jasmines, roses and lily of the valley in the floral middle. Opium was quite controversial when it was launched as it was accused of glorifying drug use. In retrospect it seems that the controversy contributed to impressive sales numbers, the perfume was a huge success. In 2000, Opium caused a new stir when ads with a quasi-naked Sophie Dahl in ectasy appeared. The photo taken by Steven Meisel was hugely admired in some countries and created massive protests in others (for example UK). The Opium provocations are far from over. Quite recently this film directed by Romain Gavras was banned, accused of glorifying drug addiction. Opoponax has quite an interesting range of experiences don’t you think?